For over 47 years, Sunshine Homes has been committed to building the highest quality manufactured and modular homes in Alabama. Our mission is to provide American families with the best factory-built home that money can buy. Sunshine Homes has been building quality homes since 1971. Our mission is to build manufactured homes and modular homes with quality, style, and value to meet the evolving needs of today’s hardworking families. We are a family-owned, debt-free, and financially sound company. Our homes have a variety of options to fit your taste and budget in order to completely satisfy any individual or family who is looking for quality and dependability without sacrificing style. Manufactured homes are homes that are built in an advanced factory rather than on-site. In many ways, they signify the future of housing due to their overwhelming benefits with regard to efficiency and cost-savings. Modular homes are similar to manufactured homes, but offer even more flexibility for creative designs and layouts. Built in a factory setting to local state codes, modular homes are constructed in sections, or “modules.” These are then transported to the building site and assembled, much like a site-built home. Single section homes, or single wides, are considered by many to be the most versatile type of manufactured home. That’s because single wides offer such a wide range of and designs within a relatively small footprint. Modern double wide homes are the largest category of factory-built homes because they fit the needs of so many Americans. Double wide manufactured homes are very popular with first-time homebuyers, empty nesters, and those looking for a second home. Sunshine Homes proudly services the great states of Alabama, Arkansas, Florida, Georgia, Illinois, Indiana, Kansas, Kentucky, Louisiana, Mississippi, Missouri, Oklahoma, South Carolina, Texas, Tennessee, and West Virginia. To find your new Sunshine home, just click a state on the map or choose from the list below. Find a home you love, request a price quote, and we’ll put you in touch with an authorized Sunshine Homes retailer right away. Manufactured and modular homes are built to the HUD federal code and IRC state codes, respectively. These codes are a collection of performance and safety standards that dictate every aspect of a factory-built home’s construction. This includes structural design, plumbing, thermal/electrical systems, fire safety, energy efficiency, and more. Inspectors make sure all these standards are met every step of the way. The goal is to guarantee the highest degree of safety and quality construction in your home. When a manufactured home leaves our factory, it has passed what is arguably the most rigorous inspection process in the housing industry. One of the biggest advantages of factory construction is efficiency and scalability. This translates into savings that are passed down to you, the buyer. Manufactured and modular homes are built in climate-controlled facilities where the weather is always perfect. This means that unlike a regular site-built home, there are no delays due to bad weather. Theft, damage, and vandalism are similarly nonexistent. Because manufactured home factories produce homes at a high volume, manufacturers are able to purchase building materials at volume prices. All these things combine into one thing everyone can appreciate – a lower price tag for home shoppers. Manufactured and modular homes don’t require you to sacrifice design, style, or comfort. These homes are shipped with best-in-class brand name appliances. Add-ons like fireplaces, decks, garages, and porches are easily achievable. Advances in the building process have allowed manufacturers to produce homes in a huge array of architectural styles. 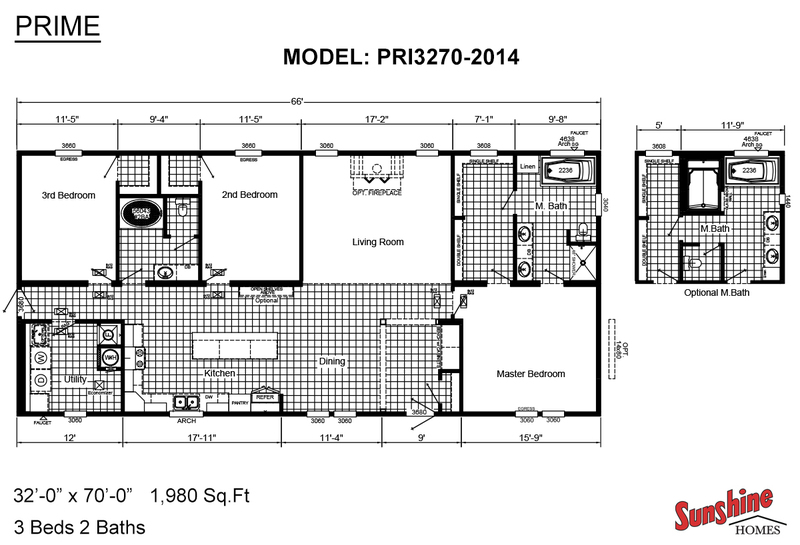 You can choose from many existing Sunshine floorplans, or customize a home to fit your budget, taste, and lifestyle. In fact, in many ways manufactured homes offer a level of customization that stick-built homes simply don’t have. Sustainability is quickly becoming a major focus for manufacturers who have a vested interest in offering their customers eco-friendly and energy-efficient homes. As it turns out, manufactured home construction can yield up to 90% less waste than a stick-built home. How? It all goes back to the efficiency of factory construction. For example, the use of Low to Zero VOC paints is better for the environment. Double flush toilets and low flow faucets cut down energy costs. Insulated walls means less time running temperature control devices, which substantially reduce your carbon footprint. Today’s homes can even be built with modern green practices in mind, such as rainwater harvesting and grey water systems. 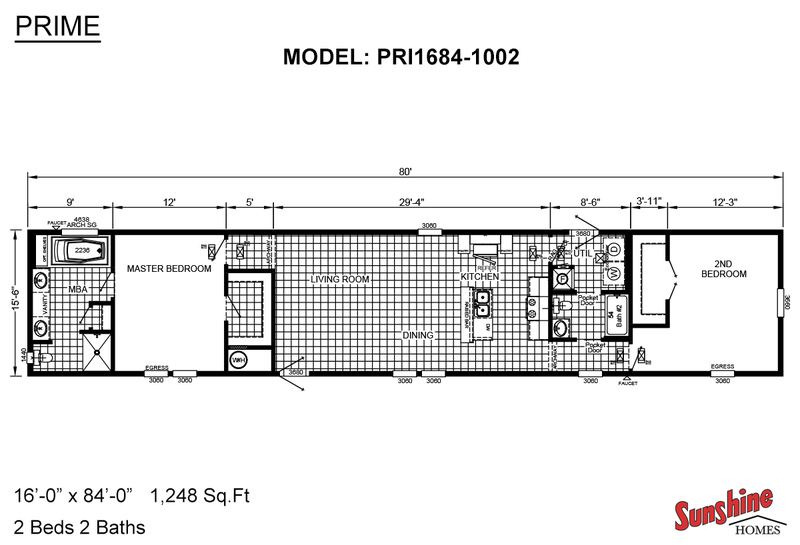 Ready to buy your new manufactured home? Have questions about the construction process, or concerns about financing? All Sunshine Homes Authorized Retailers are carefully selected for their expertise in the factory-built housing industry and a dedication to client satisfaction. We won’t do business with just anyone — Sunshine retailers are highly skilled professionals with a focus on outstanding customer service. We want you to be treated like family, and that’s why we only offer Sunshine manufactured and modular homes through a network of retailers we trust.